The Minister of Tourism and Cultural Affairs has vowed to provide necessary support to improving the entertainment industry, especially providing the space for local artistes to showcase their talents. According to Mrs Memunatu Pratt, around the world, the industry, especially music, has grown into a multi-billion dollar investment and playing a critical role in the development of tourism and culture. She noted that Sierra Leoneans love entertainment a lot, no matter the situation, but they are not ready to invest millions into it. “We want to ensure that those that have been in this industry, especially our musicians, improve on their education. This shows how strategically we want to talk about entertainment. We have recognised as a ministry that we have talents. Time is no longer on our side because if you go all over the world entertainment has grown into a multi-billion dollar industry,” she averred. She added that while she was lecturing at Fourah Bay College, University of Sierra Leone, she always wondered why entertainment had not grown to the point that musicians have people that they mentor. “The status of artistes in Nigeria and Ghana is incomparable to our own here. We are listening to the music of our artistes for free with nothing going into their pockets. We have to ensure that things that we loved so much, we spend our money and efforts on it,” she said. 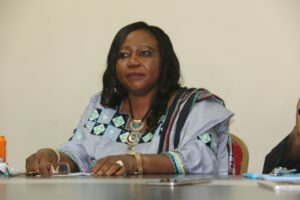 The Tourism Minister asserted that Sierra Leoneans spend a lot of money on those pirating local music and films instead of patronising local musicians, vowing to crackdown on copyright violators in 2019. She also disclosed plans by her ministry to have in place an entertainment commission. “We are creating the enabling environment for the entertainment industry to thrive. We have done a lot in that respect since I assume office few months back. We need a better focus as far as tourism and culture is concern,” Mrs Pratt added.